We've teamed up with the famed Brooklyn based Alphastructaesthetitologist; Jon Contino to create a limited run of Utility Notebooks that incorporate his unmistakable hand-lettering artistry. Mr. Contino's heritage based illustration approach can best be viewed throughout his quality menswear collection; CXXVI Clothing Co. These well-crafted pocket notebooks were constructed by the fine individuals at Portland’s Pinball Publishing and utilize French Paper Co. Speckletone wine colored cover stock. A high res 10 picture photo set of the Jon Contino Utility Notebook can be viewed here. 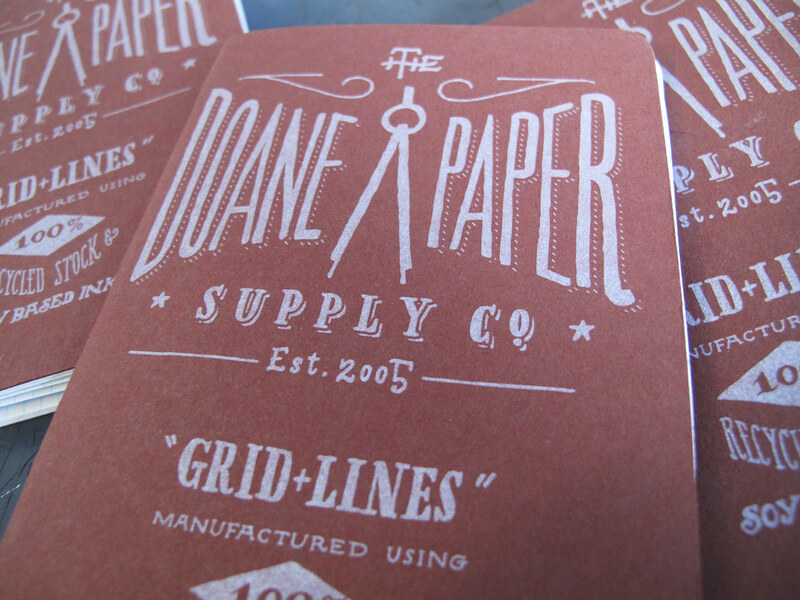 Be sure to head over to the Doane Paper Store to pick yours up! Update: Chad Doane has graciously offered up a three pack of these notebooks for giveaway. Just leave a comment on this post by Monday night (2/21) and I'll pick a winner at random. Thanks Chad! Posted on February 18, 2011 by Brad Dowdy and filed under Doane Paper.